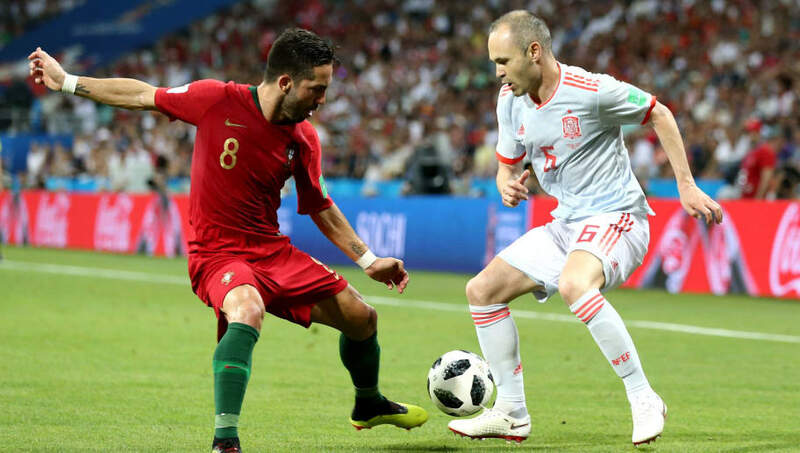 Portugal and Spain both played their parts in a true World Cup classic as they shared the spoils with a wonderful exhibition of the world’s greatest game. The result comes after a turbulent week for the Spanish side, but only one man will dominate the headlines – Cristiano Ronaldo. The Portuguese talisman scored a hat-trick which was capped off with a spectacular free-kick in the dying moments of the match. Here’s a look at how all the players fared. Rui Patricio 6/10 – Stood absolutely no chance with any of Spain’s goals. Cedric 6/10 – Got forward well on occasions and his delivery was good. However, he was left exposed on occasions on the right flank. Pepe 5/10 – Foul or not, Pepe was far too weak for Spain’s goal and should not have gone down so easy. Jose Fonte 6/10 – Found his wires crossed when Diego Costa turned him inside out for Spain’s opener but was otherwise solid. Raphael Guerreiro 6/10 – Got forward well on occasions but his final ball was often lacking. Bernardo Silva 6/10 – Worked hard and looked threatening at times but he often left Cedric exposed at right-back. Carvalho 6/10 – Very economical with the ball at his feet but was unspectacular. Joao Moutinho 5/10 – Was largely a spectator throughout the match as the Spanish midfield ran circles around him. Bruno Fernandes 6/10 – Certainly worked hard on the left flank but he ultimately lacked a final ball that could split the Spanish defence. 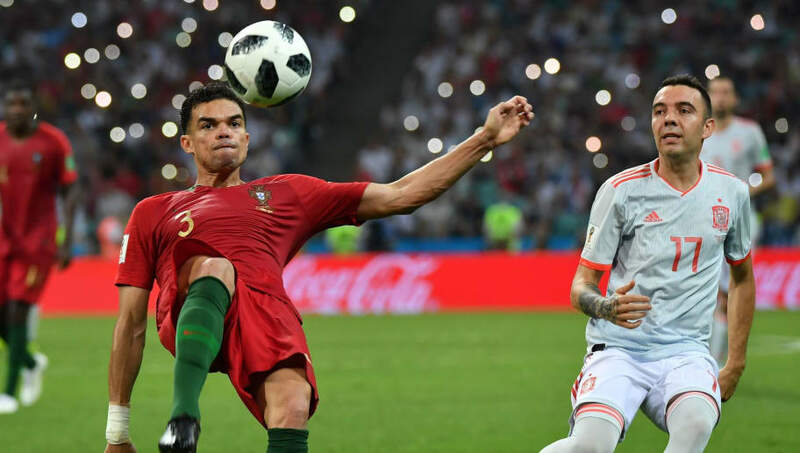 Goncalo Guedes 5/10 – A disappointing performance which saw the young forward fluff his lines on a number of occasions and was easily out-jumped by Sergio Busquets for Spain’s second goal. Cristiano Ronaldo 9/10 – Scored a hat-trick and led the line admirably despite the fact that his teammates weren’t always on his wavelength. His third was a sensational free-kick. A stunning performance from one of the greatest players to ever play the game. 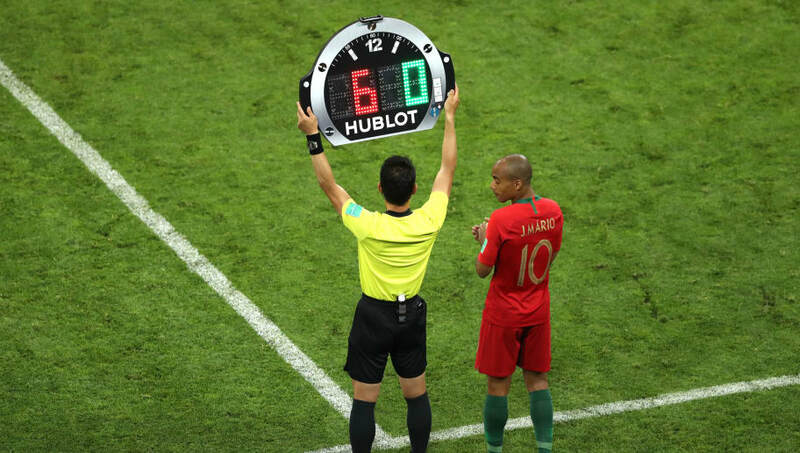 Joao Mario 6/10 – Largely absent after coming on but he worked up and down the left flank tirelessly. Ricardo Quaresma 6/10 – Showed flashes of brilliance but that was all. Andre Silva N/A – Came on with five minutes to go. 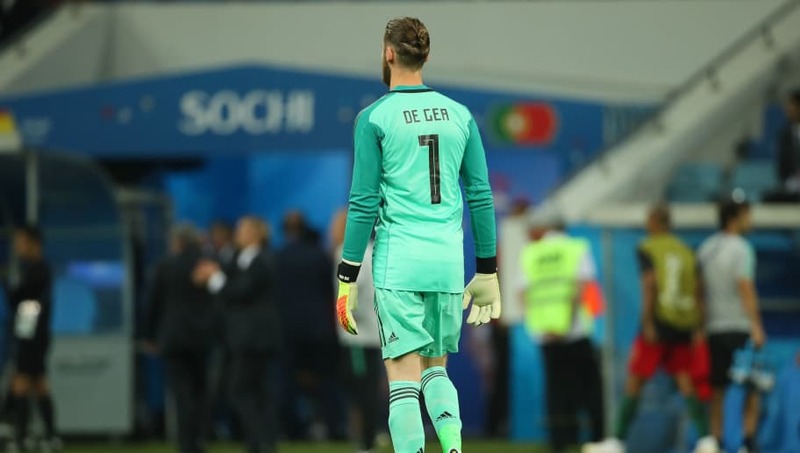 David De Gea 4/10 – Had an absolute shocker for Portugal’s second goal, letting the ball inexplicably squirm through his hands. 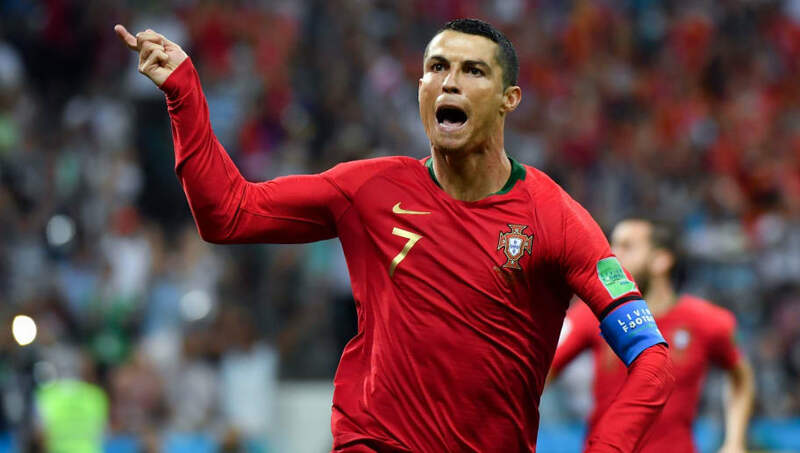 Nacho 7/10 – Silly mistake to dive in to give away the penalty against Ronaldo early on but he more than redeemed himself with an unbelievable strike for Spain’s third. Sergio Ramos 7/10 – Influence grew as the game went by and some of his diagonal cross field balls were simply sensational. Gerard Pique 6/10 – Was largely solid and made a superb tackle late late on in the second half. Jordi Alba 7/10 – The Barcelona man looked a threat every time he broke down the left flank. Sergio Busquests 7/10 – As usual, Busquets was instrumental throughout and picked up an assist after nodding down David Silva’s free-kick for Diego Costa to nod home. Koke 6/10 – Spain’s quietest midfielder on the night, but he went about his business effectively and rarely put a foot wrong. Isco 9/10 – Was inches away from scoring an absolute rocket in the first half and was the best player on the park as he completely ran the show throughout. An unbelievable performance. 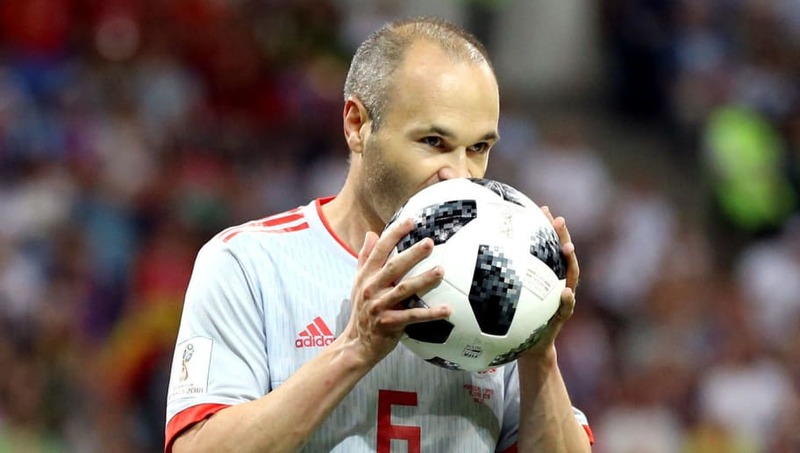 Andres Iniesta 7/10 – Difficult to see why he is leaving Barcelona to ply his trade in Japan. His link-up play was good and he rarely gave the ball away all night. David Silva 8/10 – Provided a delicious free-kick for the second Spanish goal and got better as the game progressed, toying with the Portuguese midfield and defence. 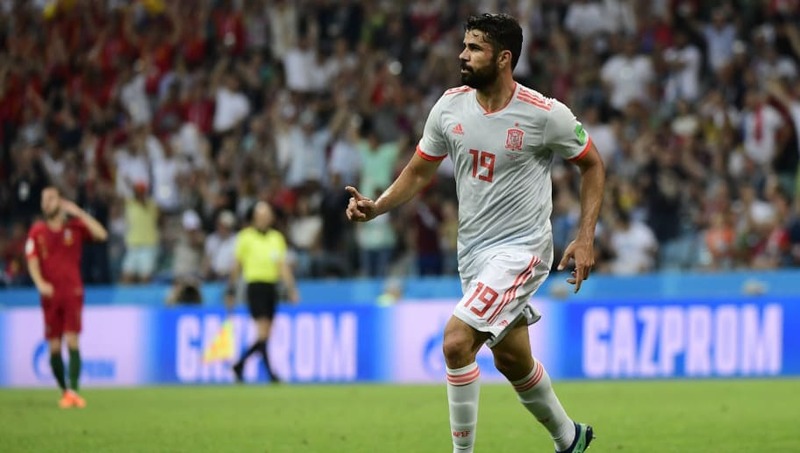 Diego Costa 8/10 – Scored a typical Diego Costa goal by bullying the Portuguese defence in the first half before doubling his tally with a poacher’s finish in the second. Was very close to getting a hat-trick but has to make do with a brace. Thiago Alcantara 6/10 – Fitted into the midfield seamlessly and looked comfortable with the ball at his feet. Iago Aspas 5/10 – Couldn’t justify his inclusion in the game and had a decent half chance which he could only scuff. Lucas Vasquez N/A – Came on with seven minutes to go.